Hip pain maybe temporary or chronic. 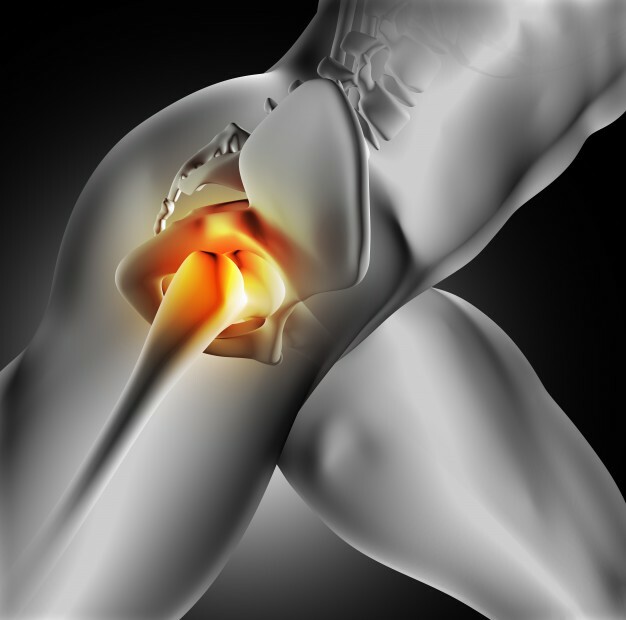 Causes of hip pain may include Bursitis, arthritis, fractures, sprain, sciatica, strain or hematoma. Its symptoms may vary from mild to severe and it may cause disability. Health Plus Physical Therapy Center can help you live without the pain. Our dedicated physical therapist will create a “Personalize Recovery Plan” using our proven integrated approach that combines progressive physical therapy, Pilates training, and one-on-one customized care to insure you enjoy the optimal treatment experience. We will work with you to effectively improve mobility and motion, eliminate pain and avoid surgery. We are also dedicated to educating our patients about their surgery, the healing process and the best road to continued function and injury prevention, in order to equip them with the tools to best heal themselves. At Health Plus Physical Therapy & Rehabilitation Center we pride ourselves in our caring and sensitive approach to the rigors of surgical recovery. We work to speed recovery with the utmost care for our patients’ safety. As such, we customize every program and provide one-on-one communication and careful consultation with surgeons and other involved healthcare providers. For more information, Contact Us Today at Edison, NJ.